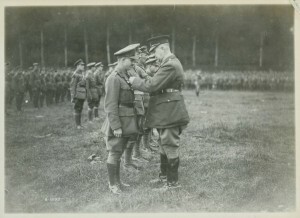 Medals and decorations provided soldiers with recognition of their length or type of service and were awarded for bravery or meritorious service. 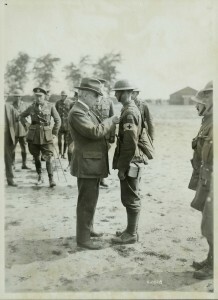 The awarding of medals and decorations could be a positive reinforcement to others in their unit or branch of service, but most felt they were doing their duty and did not serve to receive medals. 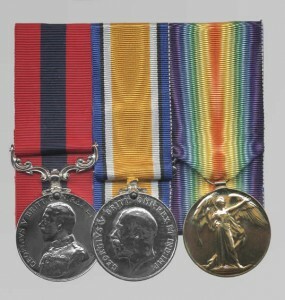 Medals could be given for both service and bravery, but the most common were the service medals, such as the British War Medal 1914-1920 and the Victory Medal 1914-1919. 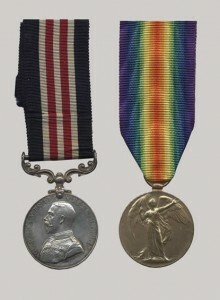 The vast majority of Canadian Expeditionary Force members received these two medals. Far fewer qualified for the 1914-1915 Star, which was awarded to service personnel who had served in France and Belgium prior to 31 December 1915, and the even rarer 1914 Star was awarded for service for those who served before 23 December 1914. Decorations and select medals honoured soldiers for bravery on the battlefield or for distinguished service. The British Empire’s highest award for bravery was the Victoria Cross, instituted in 1856. Seventy Canadians were awarded the Victoria Cross during the First World War, many of them posthumously. 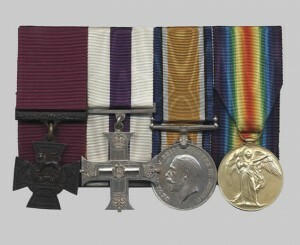 Other decorations and medals awarded during the war included the Distinguished Service Order, the Military Cross, the Distinguished Conduct Medal, and the Military Medal. The first two were reserved for officers, with some Warrant Officers receiving the Military Cross, and the latter two were reserved solely for non-commissioned officers and other ranks. In the case of all of these medals, a second award was recognized by the addition of a bar, worn on the ribbon. There were also distinctive decorations for naval personnel, such as the Distinguished Service Cross, and the Royal Red Cross for members of the nursing services. The new air services were recognized with decorations and medals for their particular environment. These included the Distinguished Flying Cross and Air Force Cross. As the war progressed, and the armies expanded rapidly, new medals were struck and they were issued more frequently. Some soldiers felt this diluted the distinguished effort required to be recognized with a decoration, but these decorations were still incredibly rare and most often awarded for heroic deeds of valour and sacrifice. 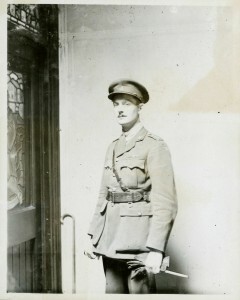 Captain Christopher Patrick John O'Kelly of the 52nd Canadian Infantry Battalion was awarded the Victoria Cross during the Battle of Passchendaele. It is on the far left, with its purple ribbon. On 26 October 1917, Captain O'Kelly led his company, continually under heavy fire, over 1,000 metres to capture enemy positions. His company captured six German strong points that held ten machine-guns and took 100 enemy prisoners. 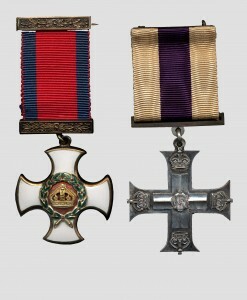 The other medals, from left to right, are: the Military Cross, the British War Medal 1914-1920, and the Victory Medal 1914-1919.